Details on the new Duel Links event, which runs until August 29th. 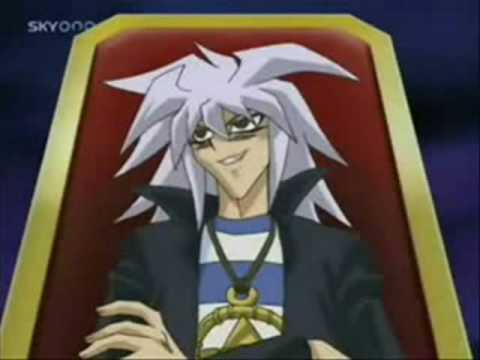 Yami Bakura returns as the Game Master. Players must use 1 Stamina to advance a single space. Monster battles pop up on certain spaces, which require additional Stamina. No Stamina is required to move onto spaces you have already been to. Players will roll ten-sided dice (possible numbers are 0-9) to determine the winner. Both the player and the monster have an HP value and damage is dealt equal to the die roll. Each Area has a Boss Monster at the end, who will Duel the player. The player must use pre-constructed Event Decks to battle the Boss Monster. The Event Decks can be be obtained from certain monsters and Treasure Boxes. There’s a reward at the end of each Area and players earn Lottery Coins as they advance. Each Area may also have 1 or more treasure boxes to find. The Daily Bonus is a small Stamina Potion and the free 10 Lottery draws a day returns. The EX Trader is also back, carrying a copy of every Lottery reward card. The EX Jewels will expire on September 8th. Another small potion can be obtained once per day by Playing a Ranked Duel. The stamina system is similar to one used in the last Duel Island: Gladiator event. Stamina replenishes automatically over time and through the use of Potions. Stamina is recovered at a greatly accelerated rate in comparison to the Duel Island events though – 1 Stamina recovers every 4 minutes. Players may also purchase EX Stamina Charges – there are large and small versions. These will give EX Stamina, which can only be used when you do not have enough regular Stamina to perform a desired action. Two other event items are also featured – an additional die you can roll to increase damage and the Senri Eye, which allows you to find the locations of all monsters and treasure boxes in a Area. Playing in the event will increases your Event Level. As it increases, your maximum Stamina and HP will both increase and you can gain additional dice – meaning you can roll multiple dice per turn. Leveling Up also fully restores your Stamina. Rewards for clearing Areas include, Gold, Gems, Stones, Potions, Booster Items, Cards, Sleeves and a Playmat. The Lottery rewards feature the same cards, Stones, Gems (1, 5 and 10 are possible), EX Jewels, Gold and Gate Keys. Once all 25 Areas are cleared, Area (Infinity) is unlocked, which can be explored until August 24th, when the event will replace (Infinity) with a new area. This event is based on the early manga, where Yami Bakura was introduced in a similiar tabletop RPG. He used a piece called Dark Master – Zorc as his own piece, which was later made into a card. That card is a lottery reward in this event. This RPG was adapted for the anime into the first Duel between Yami Yugi and Yami Bakura.